Summer—it’s a time for swimming, BBQs, camping, and eating invasive species. Last week during California Invasive Species Action Week (June 2 – June 10), we highlighted several pests, but there are many more invasive species out there. Now that you know about them, share your knowledge of invasive species with others. And no matter what your summer plans, here are some things YOU can do about invasive species from the California Department of Fish and Wildlife and California Department of Food and Agriculture. Learn what plants and animals you can bring into California. Don't pack a pest! Declare all food and agricultural items from other states or countries. Find out which species are threats to California. 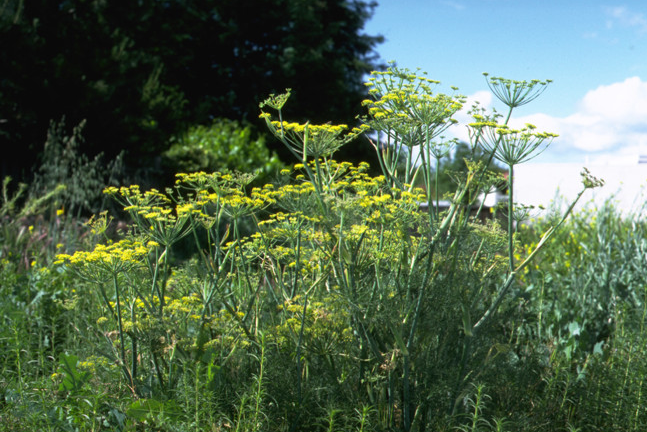 Learn about California's invasive plants. Avoid spreading forest pests: buy your firewood where you burn it. Remove invasive plants from your property. Select native or non-invasive plants for your garden. Use only certified weed-free forage, hay, seed, mulch, soil, and gravel. Learn alternatives to releasing unwanted fish, aquatic plants, and other pets. Monitor plants and trees for symptoms of infestations and disease. Have you spotted an invasive species? Tell us where by reporting your sighting. Join the statewide citizen science effort to monitor for quagga mussels. Join the iNaturalist project, California Nerodia Watch, and help us find Nerodia watersnakes. Make sure to Clean, Drain, and Dry (PDF) your boat after each outing. Visit your favorite local, state, or national park, ecological reserve, recreational area, or nature center and ask about their volunteer programs. Prevent the spread of plant pathogens that damage and kill California's native plants and trees. Get to know your local invaders. Eat them. Yum.  Check out these websites to find out who is edible and how to prepare them. If you missed it this year, help in the fight next year by learning and participating during California Invasive Species Action Week. Invasive species...not very a-peel-ing for citrus. 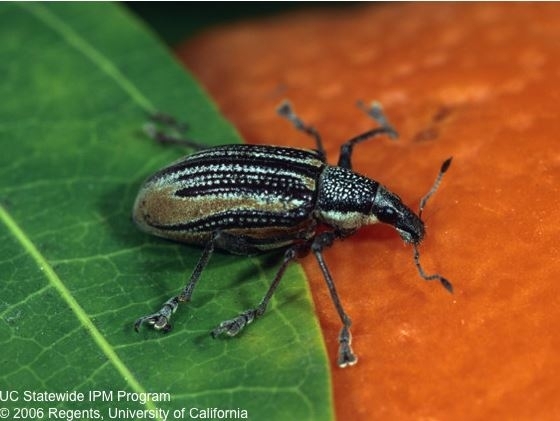 Citrus plants can be hosts for invasive pests. Knowing what pests are invasive and how to avoid them is an important part of nursery production. 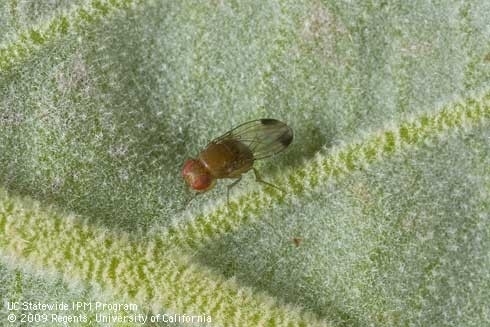 If you work in a citrus nursery, you play an important role in looking for invasive pests and protecting the nursery—and ultimately California's citrus industry—from invasion. Your mission, should you choose to accept it, is to prevent invasive pests and their harmful impact to agriculture. When pests or diseases are new to an area, we call them invasive. Many of the laws that are in place for citrus are to prevent new pests and diseases from establishing. Citrus nurseries that become infested with new pests may be quarantined until the infestation is gone, preventing the plants from being moved or sold. Sometimes it requires the plants to be destroyed. Sometimes it results in the loss of a business. You might have heard of some these invasive pests in California citrus—diaprepes root weevil, light brown apple moth, and red imported fire ant. Some invasive pests are diseases carried by an insect such as citrus variegated chlorosis spread by glassy winged sharpshooter, brown citrus aphid in Florida and Mexico making citrus tristeza even more problematic, and huanglongbing spread by Asian citrus psyllid. 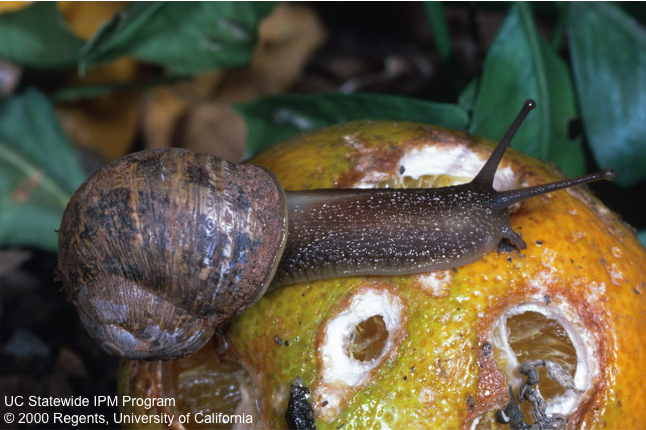 Learn more about these invasive pests and how to stop their invasion by viewing an online training for workers of citrus growing in protective structures by UC Cooperative Extension Specialist Beth Grafton-Cardwell. Citrus Nursery Protective Structure Worker Training provides information on growing healthy citrus plants in structures and protecting them from common insect pests and diseases, including invasive ones in Chapter 3. You can also find on UC IPM's online training webpage, training about Asian citrus psyllid and huanglongbing for retail nursery personnel and for UC Master Gardeners. Watch for anything unusual and report anything new. Keep yourself and anything you work with in the protected structure clean, disinfected and free of pests. Keep the protective structure sound by fixing holes in screens, gaps in the structure, and unprotected vents. Use good practices in the nursery such as planning your day to start indoors and finish outdoors so that you don't bring outdoor pests inside. Don't bring in pests from other areas in budwood or fruit. Californians can help in the fight against invasive species by learning and participating during California Invasive Species Action Week, June 2–10. During the week, spend your lunch with us learning the latest about invasive tree killing pests, aquatic nasties like quagga mussels and nutria, and how the invasive weed/wildfire cycle is altering our ecosystems! National invasive species awareness week was February 27 – March 3, 2017. Invasive species are plants, animals, fungi or microbes that are not native to an area, but can quickly establish, multiply, and become pests. These species can hurt the environment, agricultural production, and even human health in some instances (e.g. the mosquito Aedes aegypti). According to the USDA, invasive species are responsible for $137 billion per year in economic losses in the United States. In agricultural systems, invasive species may reduce yields, render crops unmarketable, or make rangeland unfavorable to livestock. In natural areas, they may squeeze out native species, change soil quality, and increase the frequency or intensity of wildfires. Some of these species have been introduced intentionally (e.g., yellow sweetclover, which was originally imported from Europe as a forage species for livestock), while others arrived by accident (e.g., the glassy-winged sharpshooter which came to California inadvertently through nursery stock shipments). Just one species can be detrimental to crop production and revenues. The invasion of spotted-wing drosophila, for example, caused conventional raspberry growers in California to lose $36.4 million in revenue between 2009 and 2014, and would have reduced California raspberry yields by as much as 50% without control efforts. The spread of invasive pests has become more prevalent in recent decades, and is linked to several factors, including global travel, produce trade, and climate change. Many invasive pests spread by human movement—medusahead, for example, has long awns on its seeds that easily attach to clothing and animal fur, to be carried to other locations. A recent study by UC scientists also determined that due to climate change, invasive weeds are shifting their ranges at a faster rate than native plants, and will likely cause more problems in agriculture and natural resources in the future. The yellow starthistle, an invasive plant that dries out soil and degrades rangelands, is one of the pests that will expand its range further north in California (and beyond) due to climate change. While invasive pests can be a major challenge to growers and land managers, there are successful stories of stopping exotic pest invasions with well-coordinated eradication efforts. Recently, the California Department of Food and Agriculture (CDFA) declared the European Grapevine Moth eradicated from California after no moths were found in the state from 2015 to 2016. This was due to a rapid response, largely by the UC Cooperative Extension scientists after the moth was discovered in Napa vineyards in 2008. Fully cooperate with agricultural inspections at the California state border and in your fields. When coming into California from another state, declare any plant or animal material that you have in your vehicle. Inspectors will thoroughly examine your materials or crops to make sure that they do not hold any invasive pests. This greatly reduces the chance that your activities will spread harmful invasive species. Check and clean your clothes, shoes, and equipment before you move from one location to another. For example, thoroughly cleaning your shoes with water and a disinfectant after hiking through an area known to have sudden oak death will prevent you from tracking the pathogen into uncontaminated areas. Similarly, checking your clothes or shoes for weed seeds before leaving an area will keep you from spreading invasive weeds. “Burn it where you buy it.” Burn firewood in the same place you purchased it, rather than buying it and transporting it elsewhere. If you must transport firewood, be sure to declare it at the border and have it inspected, as described above. Report invasive pests in your area. CDFA has a tool for reporting pests, but you can also contact your agricultural commissioner or UC Cooperative Extension to do so. To learn more about invasive species, visit the UC IPM website. You will find a list of invasive insects, plants, diseases, and vertebrates in California, as well as links to other organizations and regulatory agencies that are also working to reduce their numbers. Spotted-wing drosophila, an invasive pest.